Use the six resources below to avoid repetitive typing, to reboot a PC efficiently, and to gain time in other ways. You have enough to worry about without taking the time to prune your cluttered Desktop or Downloads folder. Instead, turn to the system-tray app Belvedere, an automated file manager that moves, copies, renames, and deletes files based on rules you define. Disclosure: This app was written by article coauthor Adam Pash. Rebooting your PC while you're working is a huge time sink. Startup utility Cache My Work takes note of the applications running at the restart, and then automatically reloads them when the machine reboots. Installing a new OS? Don't hunt for, download, and install your must-have free apps separately. Instead, turn to Ninite. Once you pinpoint an ideal set of apps, this brilliant service installs everything in the background (skipping toolbars and other crapware). Don't type the same strings of text--e-mail addresses, phone numbers, snail-mail addresses, e-mail signatures--countless times. Use PhraseExpress, a system-tray utility that works like shorthand for your PC. It monitors your typing for predefined bits of text that it automatically expands to larger snippets. Use Read It Later to earmark content for later enjoyment in Firefox or on your smartphone. Don't have time to keep up with the Web pages and sites you want to read? 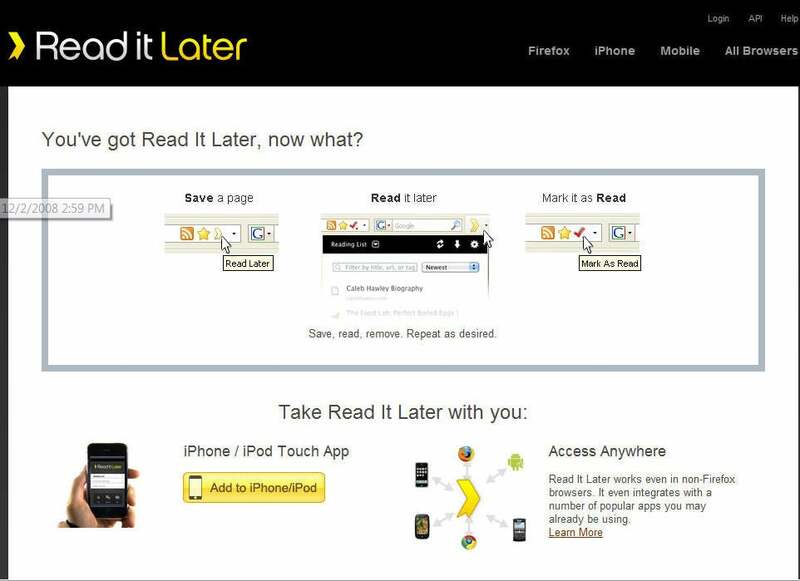 Install the Read It Later Firefox extension--or download the smartphone app--to earmark content you can't get to now so that you can enjoy it later, online or off. Tracking your work offers a great window into your daily productivity. Sign up for Rescue Time, which automatically monitors the apps you use and the Websites you visit and then employs fancy graphs to break down how you spent your day. If you're a frequent business traveler, our selection of five mobile-lifestyle programs will help you locate a lost smartphone, strip Web content down for easy downloads, and turn a PC into a Wi-Fi hotspot, among other neat tricks. BlueRetriever: Misplacing a must-have mobile gadget makes you frantic. For a little peace of mind, sign up with this Web service, which provides a simple way for someone who finds your lost device to return it. Connectify: Ever find yourself in a room with just one wired ethernet connection and a whole lot of PCs begging to browse the Web? Run this download on your Windows 7 laptop and turn it into a Wi-Fi hotspot that you can share. Instapaper: The Web runneth over with content worth reading--but you don't want to spend your entire life in front of your PC. This Website lets you bookmark anything to read later, stripping the page's content to bare text for your computer, iPhone, or Kindle. You can even go completely old-school and print it out. 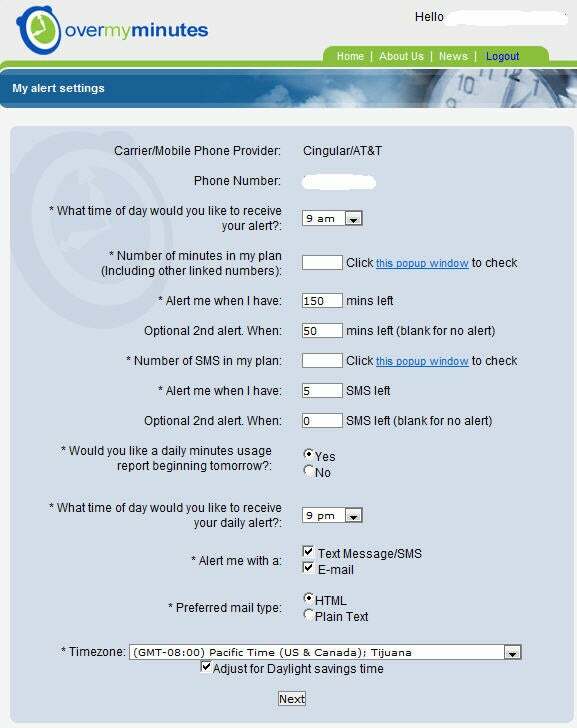 On OverMyMinutes, you can track and get reminders for your cell phone usage. OverMyMinutes: Cell phone plans aren't cheap--and if you exceed your minutes, overage charges will bleed you dry. This Web service monitors your minutes and sends alerts when your remaining minutes drop below a threshold you define. An app is available for iPhones, too. Xpenser: If you travel for work, you know how much of pain tracking expenses can be. Rather than forget another expense, try this smart service, which helps you track your expenses via its Website, e-mail, SMS, IM, and even Twitter. About the authors: Adam Pash is the editor of Lifehacker. Rick Broida writes PCWorld's Hassle-Free PC blog.